Hola Divas! Happy Friday. One of the most requested things from our blog have been the Five Minute Friday posts. Sooooo, they are back! Each week, Kate Motaung posts a one-word prompt on her blog and women from all over the world write from their hearts for five minutes then share their words. If you have never read our Five-Minute Friday posts in the past, you really need to check them out! Today’s word is YES. Five years ago, I said YES to teaching an eight week session of ZUMBA at the Kernersville Parks and Recreation Center. Nothing major, just 8 weeks. I remember thinking “if I can get fifteen people to consistently come to class”…. 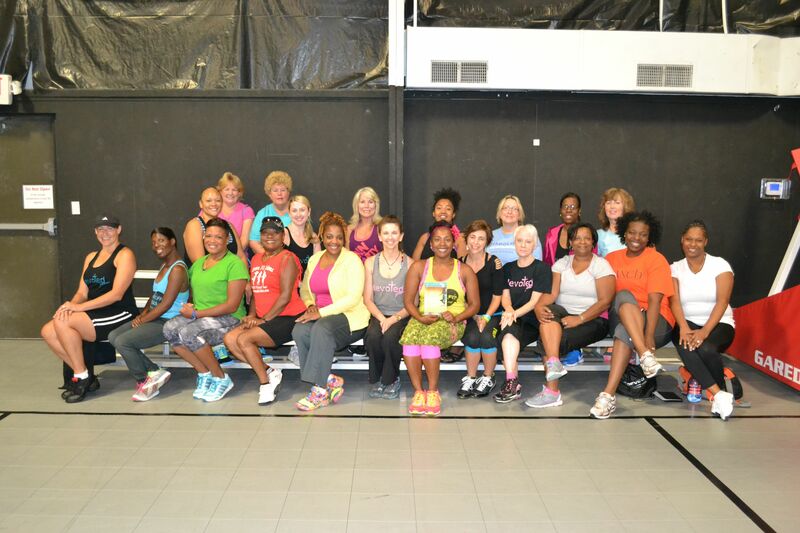 When over fifty people came to the kick-off class and we had forty-five people stuffed in the small upper room of the gym on our first official class, I couldn’t believe so many people said YES. My yes was and is bigger than me. The women who said YES were not my family or close friends. My family and friends had said YES to so many of my adventures (Amway, Mary Kay, etc)….so God filled our classes. From the very moment I stepped on the platform to teach, I knew this dance thing would be part of my ministry. Yet, I wasn’ t planning anything because, I only said YES to an eight week session. Half-way through our first session, ladies began to ask: “when is the next session?”. So I said YES again and again and again until it has been FIVE years of leading the most awesome group of ladies on the planet. Leading? I said YES to an eight week session of ZUMBA……that’s it. Plans for our class to serve as a safe haven for women weary from everyday life. Plans for our class to travel together. Plans for new friends to be made. But for me personally, God had plans for me to pour out my “seriously-don’t-have-it-all-together-life” into other women. Really??? ?...because I only said YES to an eight week session of ZUMBA. I’m not a fan of Zoomba (my best friend loves it). But it’s great that others do. Just popping in in the 6th and 7th minute of this #FMF. Ok let me give you all the props you deserve. I am so thankful for being introduced to you. Katina you are one and a few that has put an impact on my life. You have become my 1yr older than me sister , BFF, #1 best mentor, road chic, and a sister I can come to and pray with. Darling I can only hope that you can continue to touch others hearts and minds. The way you have to me. Thank you for all that you have done to inspire me and walk by me. For the old and newbies I’m sure they would agree with my words. Five years and we are still rocking with the best. Keep it up pumpkin. Love you dearly. Hugs from your Greensboro buddy. ???? Looks so fun! I would say YES to that!! !